Maureen was feeling really ill today so we stayed in (apart from a trip to the supermarket). 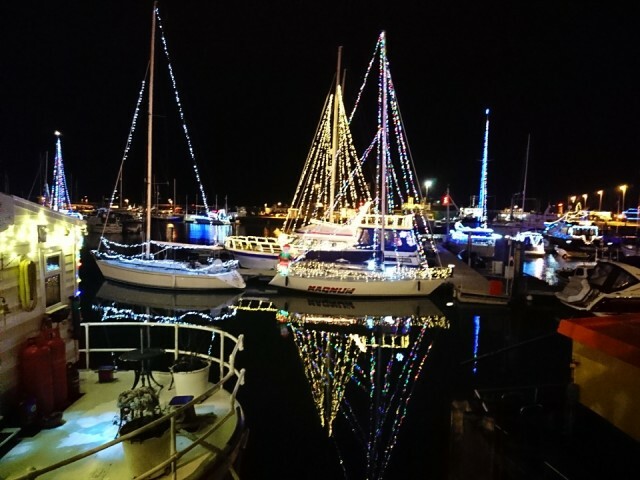 Marion left at 4.30pm, and Maur was feeling a bit better so we went across to Ramsgate to see the boats festooned in Christmas lights in the Marina. It's the first time I've seen it in 14 years of living here. It was quite magical!